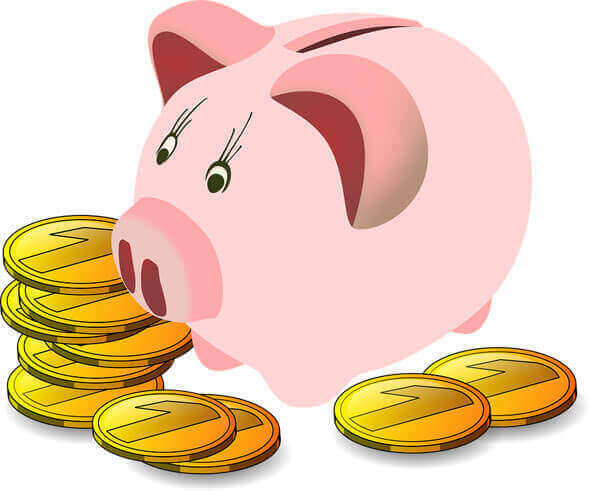 How can you starve your pig and increase your profit in the process?? from making your own feed mix, looking for cheaper alternatives of giving healthy food to your pigs. Feed is the number one factor that drives your profit down. So starving your pig can be the best way to increase your profit. But feeds is not the only thing pigs can be starved from! Starving them with factors affecting their ability to eat properly might be a good way to summarize this article. But can we really not feed our pigs and still make profit? But first starve your pig and increase profit with these factors. Every summer the favorite part for the most of us is go to the beach, soak under the hot sunny weather, cool ourselves to the refreshing water of the ocean with your sunscreen to provide protection with the bad effects of UV rays and prevent you from having a sun burn. they cover themselves with mud, providing a cool effect since water in the mud evaporates slowly than pure water. 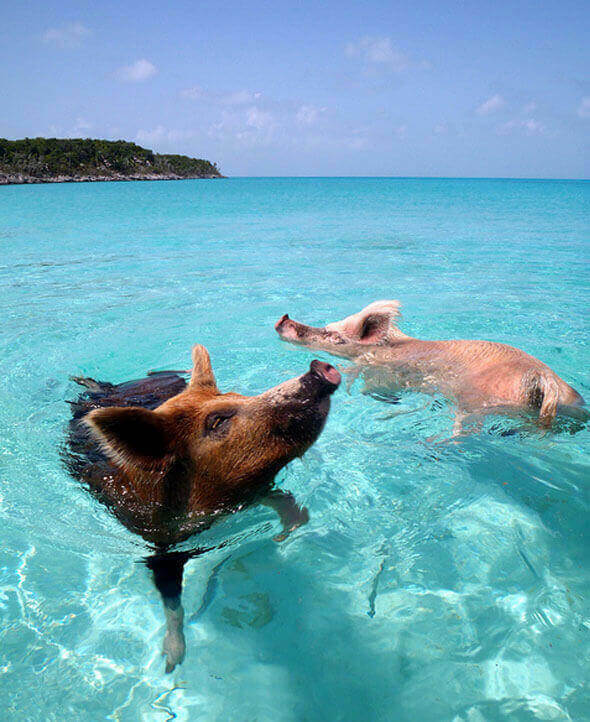 Pigs also loves to soak in the water and since their sweat glands is not effective to cool them down, they are always waiting for your arrival or your pig farm personnel to provide them that artificial rain coming from your garden hose. Heat stress contributes a big factor to the profitability of your pig business, and by giving them a good shower can help them remove heat. 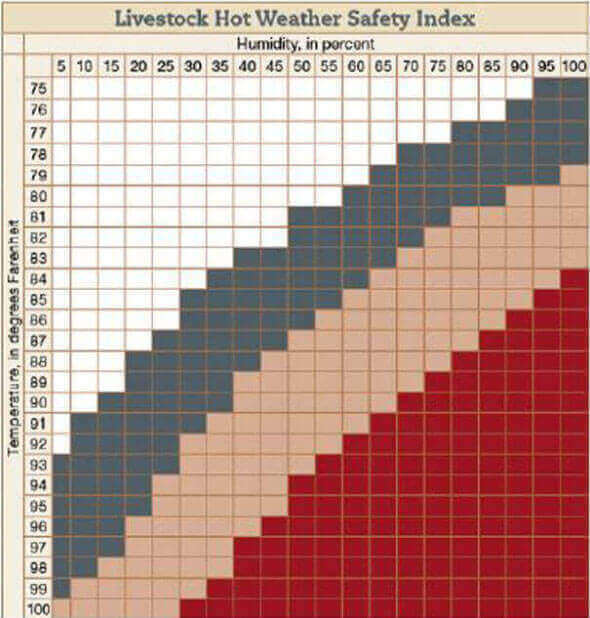 This data shows the temperature range which pigs are best suited for. 50 respiration or panting movement per minute and above (short breaths). Reduced feed intake further results to STOP EATING. They lay far separately from on another. They lay longer in concrete. Stay in their dunging areas to cool themselves. Monitoring your pig’s behavior is important in your daily routine as a pig manager. If you are hiring someone who would look over your piggery, make sure that they are familiar with signs of a heat stress and detecting them in an early stage could save your pigs life and your business survival. Poor performance of your pigs can impact your ability to sell them at the right market time. When your animals is dealing with heat stress they are not in their best condition, affecting their health and their capacity to eat and convert it to their weight gain and this means your profit will suffer as well. Your animals are losing weight because of not eating. Sows capacity to get pregnant infertility can occur. Reduced Milk production for Mother pigs (sow). Death of your pigs (Increase Mortality rate). (Decreasing activity) Reduction in frequency of standing up for urination can cause urinary tract infection, leading to fertility problems. You are not only risking the life of your animals, you are also risking your chance to have a good income, so starve your pig and increase your profit. With increasing temperatures being recorded, you must be ready and implement strategies that can improve the performance of your pigs towards heat, and planning ahead can give your pig business a big chance of continuous growth. And we all want that right? Here are some of the techniques you could use in order to starve your animals with heat stress! Floor Space – Follow the standard measurement for housing space requirements when building your pig house. Increased floor space improves the ability of each pig to lay down in an extended posture to remove heat. Blower/Fans– Create your checklist that you would perform before summer comes,it is important to check equipment related to cooling systems, make sure they are working properly. Clean and ready them for operation to prevent any unwanted failures. 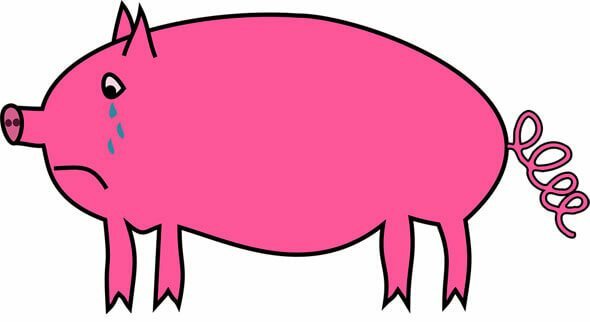 Pig Diet – When temperatures reached your pigs above ideal range, they will reduce feed consumption, therefore you must ensure that they would have the best quality feed packed every time you provide food for them. Eating time- Should be given at the coolest time of the day, early morning, late afternoon or at night. Avoid giving food between 10am-4pm becasuse it is the hottest time of the day. And wet feeding can help minimize heat production because of less energy spent. East/west orientation- The front of your pig house should be facing east direction preventing too much exposure to the sun. Shower time-In extremely hot weather, relief can be gained by hosing the animals down once every hour or so. Insulation- Roof can be painted with bright colors to help deflect heat gain, and insulation can help minimize solar heat buildup in hot weather. Although Philippines is tropical country but we also have some cold season specially during rainy seasons and cold breeze of the “Ber”months (not Beer months) the start of Christmas. Yes! Christmas in the Philippines is the longest holiday celebration in the world! That is why its more fun to raise a pigs in the Philippines! Though your pigs can handle the cold weather better than the high temperature(except piglets)! They still are not exempted in having stress out of these low temperature! And still got damaging effect on your profitability if not solved. They tend to stick their bodies to one another huddling to generate heat. Piglets loose the willingness energy to take breast feed. Changing feed (energy) intake is one way the animal is able to cope with changes in temperature. 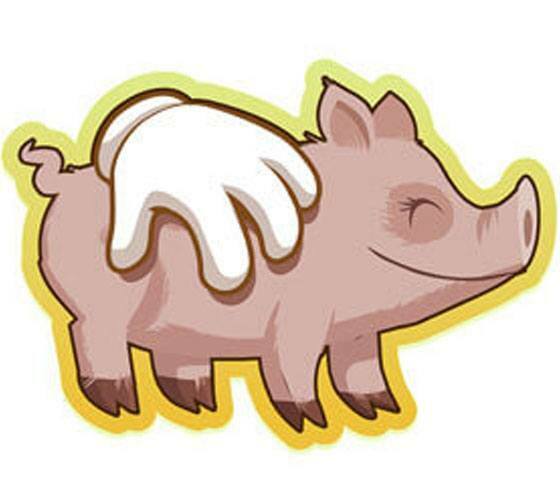 During times of cold stress, a pig will increase feed intake to produce additional heat. Eating is important in gaining weight,but during cold stress their power to convert food into weight, will require more than the usual average of food they need. 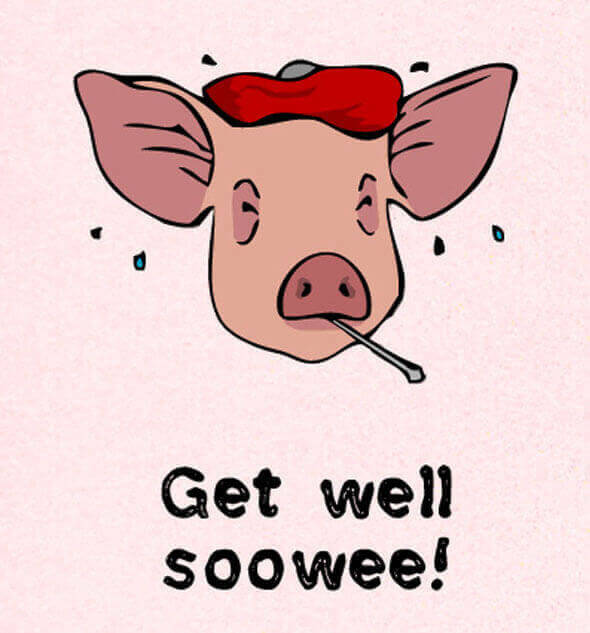 If a pig eating 3 kg of feed will gain 1 kg of additional weight, during a cold stress it will eat let say maybe 5 or 6 kg of feed just to make an additional 1 kg of weight. See the effect of the cold stress on your profit? So starve them and increase your profit. Luckily here in the Philippines the temperature doesn’t really go down unlike to other pig producing countries that really have to rely on heavy heating equipment just to keep their temperature at an acceptable level. Piglets must be housed separately with mature and grown pigs- After being separated from their mother they must be housed in a different building which we call the nursery section. Pigs has to be in their ideal range of temperature and piglets and mature grown pigs have a different temperature comfortability. Side Curtains- There are many ways to prevent that cold air (cold draft) from punishing your pigs, and side curtains either mechanically or electrically operated can helped reduced that unwanted flow of cold air. Starve your pigs and increase your profit is beneficial especially if you starve your pigs with these stressors that could lead to their ability to eat better and convert food and gain weight. 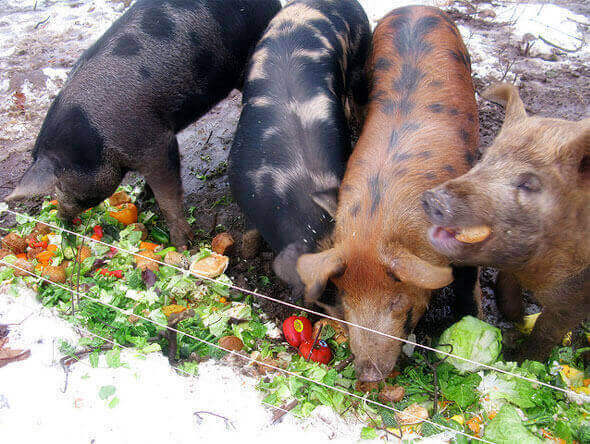 Humans adapt to the weather changes but your pigs have limited resources of which they could produce. That is why it is important that we monitor and prevent them in getting exposed with these extreme temperatures. But Can You Really Starve your Pig with food and Increase Profit? Now going back to my question earlier. Can we starve our pigs from eating and still make profit?! If we do not feed them they will not grow! And by making sure that we provide them the necessary actions that could promote their well being and comfort ability, this expensive feed will not be wasted. Just like I said it is not the only thing we could starve them from, they could be hungry from a different a lot of things. And our ability to feed them with our knowledge in solving what they are asking for is great way to increase our profitability. Starve them with the negative effects of heat and cold stress and feed them with care and attention, and if you do, they would be happy enough to give it back to you. What are your farms actions towards Heat and Cold stress? Please don’t starve us with your knowledge and feed us your with your experiences.